New Socialist Alternative, in solidarity with our counterpart Socialist Alternative in the US and Committee for a Workers International worldwide, is in the forefront of organizing and mobilizing forces for the #ResistTrump in cities across the world. 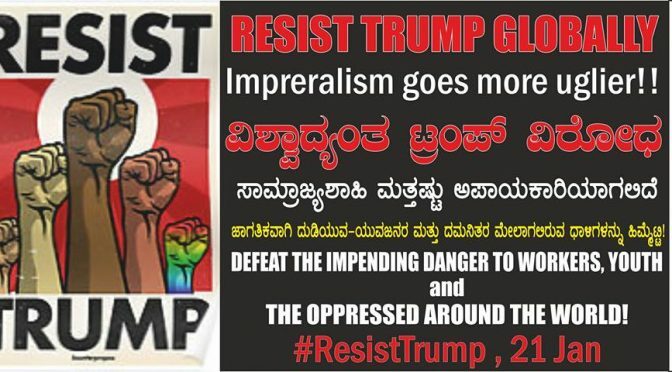 We fervently appeal to the trade unions, left forces, Dalit & Adivasi militant organizations, women’s group, student & youth organizations, oppressed minorities to join us in resisting Trump and be prepared for the future struggles that will ensue. 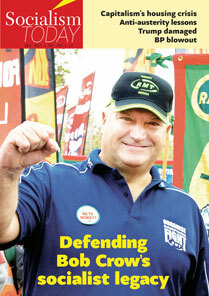 Please click on the image below to download the leaflet. Previous PostSecurity of security guards at stake at S.P. Pune University!Next PostEmergency!! !